You've never been to the Richmond. Hell, you probably don't even know where the Richmond is. Hell, we definitely have no idea where the Richmond is. 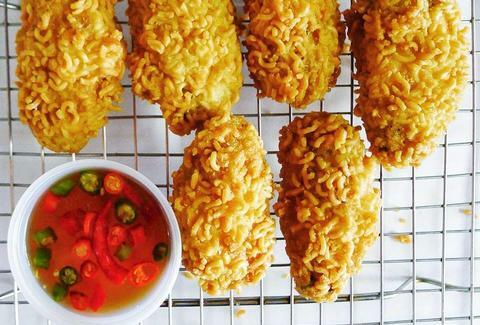 But it's time that you (and we) find out, because Hot Sauce and Panko (a place we told you about forever ago) is now doing ramen wings (!?!?!?!) as part of a rotating menu of absolutely insanebonkerscrazytown specials that ends up being sort of the food version of Russian roulette. Minus the dying. 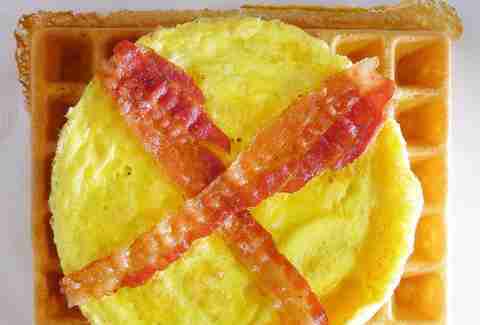 And plus egg-waffle-bacon tacos! An egg, waffle, and bacon sandwich... taco?... accompanied by cheddar and Kewpie mayo (it's Japanese mayo with a baby on the bottle because, Japan?) that you fold in half and devour. So yeah, taco. This RRBBLT stands for "ungodly delicious" and also "rare-roast beef, bacon, lettuce, and tomato". 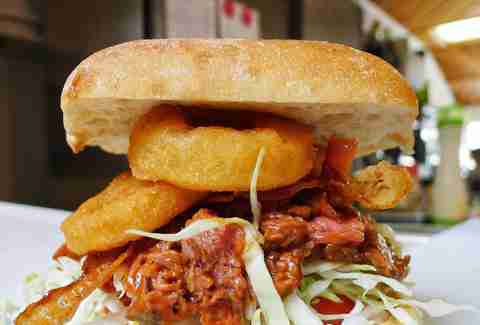 With Kewpie mayo, BBQ sauce, and friggin' onion rings. So.... RRBBLTKMBBQSFOR? 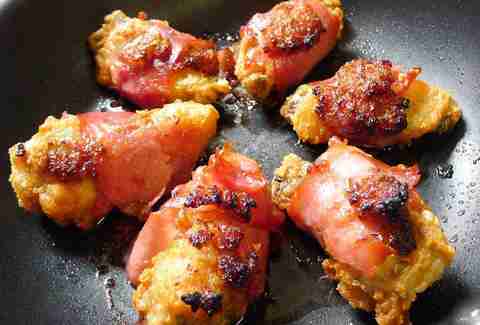 Not just your average fried chicken appendages, these are prosciutto-wrapped wings complete with bacon jam. Jam these in your mouth. 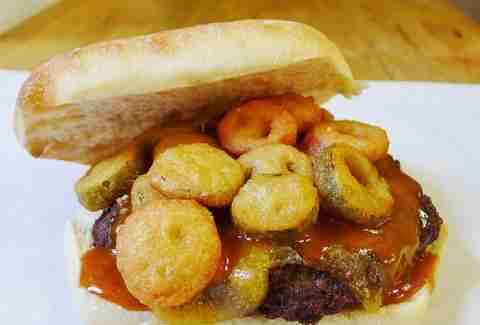 Here's a pub steak sandwich complete with fried jalapenos, cheddar, and BBQ sauce on telera -- a type of bread made in a stone oven, even though a stoned oven might better explain how this all came together. And finally, the pièce de résistance (and really the whole reason for this), the recently perfected, TOP SECRET, ramen-coated wings, which're like normal wings, except with a titularly crunchy exterior and a tangy aftertaste, thanks to the vinegar pour-on sauce. 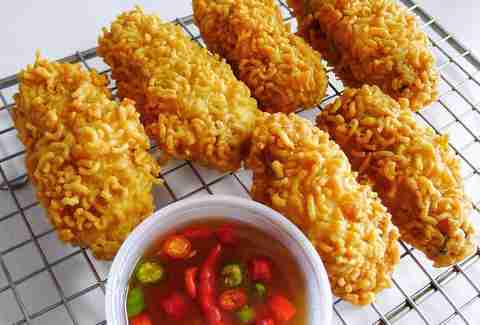 Move aside, Ramen Burger, there's a new sheriff/ramen-covered-thing in town.